The Town of Marcus, Home of CiderFest, can be found along Hwy 25, Five miles North of Kettle Falls, Washington. If you are traveling from Spokane, on Hwy 395, we are located approximately 85 miles North, 15 miles Northwest of Colville, on the banks of Beautiful Lake Roosevelt. Join us for CiderFest 2018, October 6th!!!! For all you Apple Cider lovers, CiderFest offers fresh cider, pressed on site. 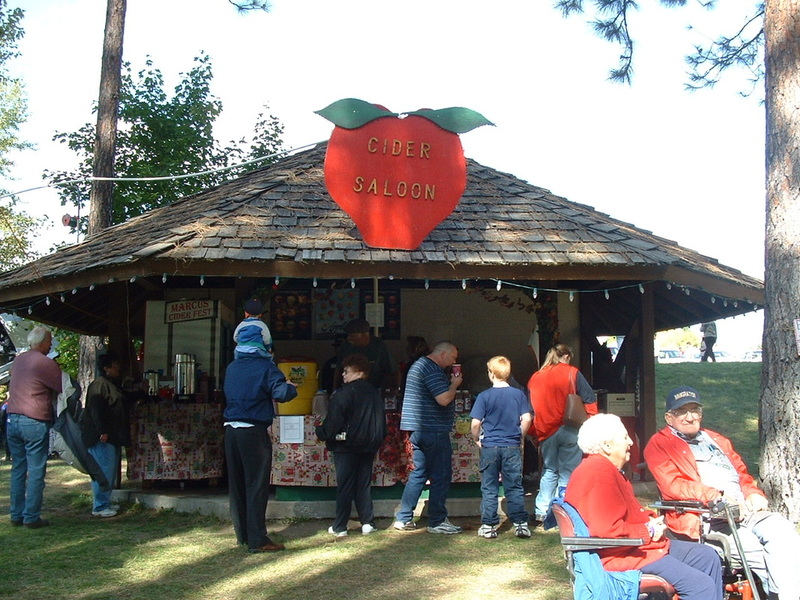 Cider can be purchased at the Cider Booth located in the lower park. Fresh cider is sold by the gallon, half gallon or cup. You can even enjoy a hot cup of cider on a cold Fall Morning. Join us for breakfast starting at 8:00 am until 11:00 am. You can enjoy freshly made pancakes with a side of ham, applesauce, juice or coffee. Seating is provided in Town Hall. Celebrate the small town atmosphere with traditional carnival games and prizes galore. 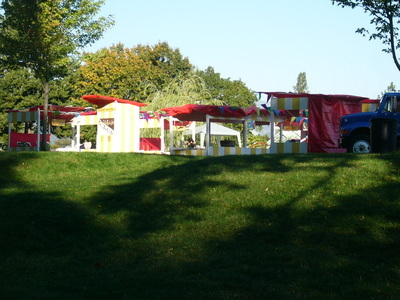 Balloon Darts, Ring Toss, Duck Pond , Basketball toss and more. We have free popcorn and balloons and new to CiderFest, our Bouncy Castle and WaterBall attractions are sure to provide fun for all. 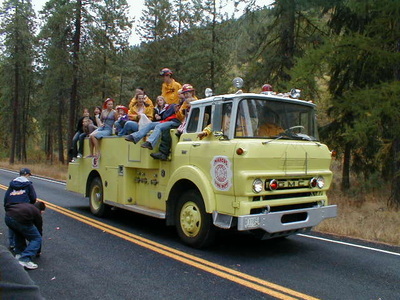 Enjoy a front row seat as our parade travels along Hwy 25. Parade begins at 10:30 am with floats, antique cars, fire engines and more. If you are interested in joining our Parade, send us an email and we will gladly send you a Parade application. Serving everything from traditional hamburgers and hotdogs to a wide variety of ethnic choices, visitors to CiderFest can enjoy the many selections offered by our food vendors. Our Food Court is conveniently located in the Upper Park near the Stage where diners can enjoy the music while they eat. Beginning at noon, musicians fill the Stage located in our Upper Park, near the Food Court. Bands from all over our area will play all day, offering a variety of musical choices sure to please everyone. And when the sun goes down, enjoy the live music offered in our Beer Garden. Local auto enthusiasts can share their treasured classic cars with CiderFest Patrons. From antiques to hot rods, our car show offers something for everybody! Our beer garden is open Friday from 6 pm to 12 am for those vendors and guests who join us early. Saturday hours will be 10 am to 2 am with "Happy Hour" from 4pm to 6pm. We offer a variety of beer and wine along with live music, dancing and fun for all.